Bed bugs are wingless, reddish-brown in color, and as adults, are about 1/4 of an inch in length. Bed bugs appear oval and flattened from top to bottom. Bed bugs feed on human blood at night and hide in crack and crevices associated with sleeping areas during the day. 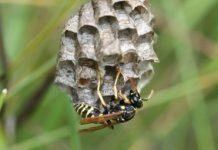 The female lay about 200-500 eggs during her lifetime, usually in batches of 10-50 eggs. Nymphs require between 1-4 months to develop. They are capable to a long period of starvation; however, they must take blood at least 5 times before becoming adults. 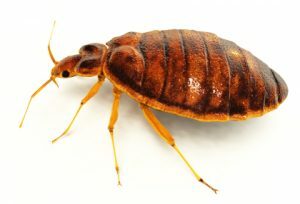 Bed bugs live up to about 1 year from the time hatch and can live up to 8 months without blood meal. Do not pick up mattresses, furniture or box sprains from garbage. If traveling and staying in public places make sure to wash and dry your luggage for 20 minutes in the dryer. Be careful of public transportation, it may be infested. All Garden State provides the two most effective Bed Bug treatments in the Pest Control industry. This method of treatment offers a Green approach to Bed Bug control. Co2 freezing is a non-toxic, non-allergenic, all natural solution to eliminate Bed Bugs. This method of treatment uses CO2 (Carbon Dioxide) and allows us freeze the Bed Bugs to a temperature of 80 Degrees below Zero. This rapid freeze kills Bed Bugs instantly on contact and insures that your home will be Bed Bug free. This method of treatment has become the most popular bed bug treatment because of its of green approach. Very few companies provide this type of service. This Treatment is the most commonly used treatment and has been for the past century. 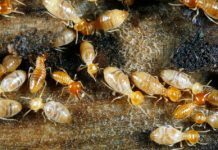 The biggest and largest chemical companies have spent hundreds of millions of dollars producing the most effective insecticides for bed bugs. These great products along with our expertise and certified technicians will allow us to ensure that your home will be Bed Bug free. Both type of treatment work effectively and provide warranty with each service.